Women’s colleges create an atmosphere conducive for success. Studies show that women who attend all-women colleges graduate with a higher level of confidence and ability than their co-ed peers. As late as the early 1970s few colleges allowed entrance to women.This gender discrimination prompted the founding of colleges specifically for women from as far back as the early 1800s. Oberlin College in Ohio was the first to accept female applicants in 1833. Four years later, Wesleyan College in Georgia became the first all-women’s college and the Women’s Medical College of Pennsylvania opened in 1850. 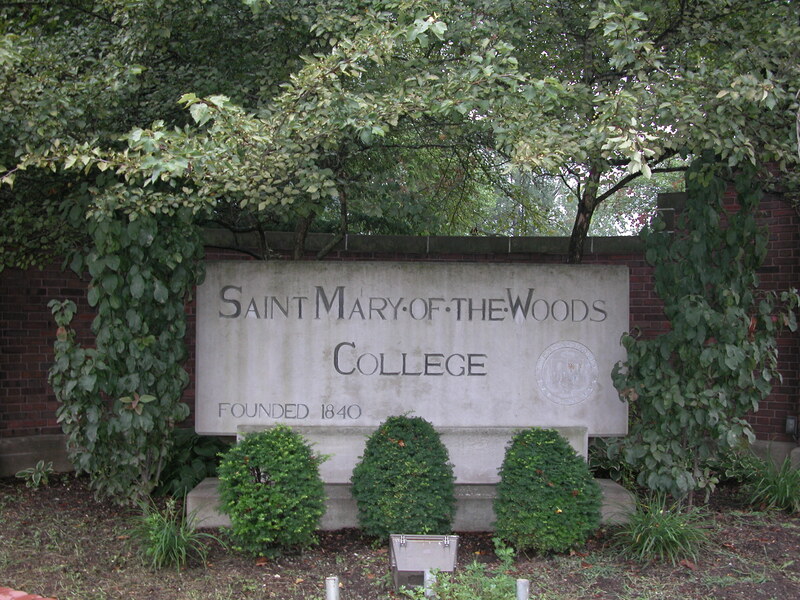 Saint Mary-of-the-Woods College in Indiana, consistently ranks as one of the best Baccalaureate Colleges in the Midwest. The school opened in 1840 and is the oldest liberal arts college for women in the country. It was founded by Saint Mother Theodore Guerin, (also known as Saint Theodora), and the Sisters of Providence to offer higher education to women. The sisters believed then, and still do, that education assists in solving issues of poverty and inequality. Early curriculum at women’s colleges focused on skills such as baking, dancing, and sewing but this shifted to a competitive academic concentration in the 1960s when more colleges became co-ed. As women were accepted more in mainstream universities, enrollment in women’s colleges declined resulting in many of them closing or being absorbed into other institutions. According to the Women’s College Coalition website, womenscolleges.org, there are 48 women’s colleges currently in the United States, nine of which are in five Midwest states. Indiana has two women’s colleges: Saint Mary-of-the-Woods College in St-Mary-of-the-Woods and Saint Mary’s College in Notre Dame. Minnesota has College of Saint Benedict in St. Joseph and Saint Catherine University in Saint Paul. In Missouri we find Cottey College in Nevada and Stephens College in Columbia. In Nebraska there is College of Saint Mary in Omaha. Wisconsin also has two women’s colleges: Alverno College and Mount Mary College, both in Milwaukee. There are no all-women’s colleges in Illinois, Iowa, Kansas, Michigan, Ohio, North Dakota, or South Dakota. Even though women are accepted in the majority of colleges today the benefits of women-only schools continue. Studies show that women who attend a women’s college are significantly advantaged in terms of the nature and frequency with which they engage in educational activities. They also interact more with faculty. These colleges create an atmosphere that encourages and supports women in realizing their potential. The fact that women are in all leadership roles on campus is inspiring. Since all students are female, the editor of the newspaper, class president, and team captain are, of course, women. This translates into the mainstream after graduation and is believed to contribute to the high rate of success and initiative from graduates of women’s colleges. Madeleine Albright (Wellesley College). First woman Secretary of State in the U. S.
Dorothy L. Brown (Bennett College for Women). First African American woman judge in the U.S.
Army Brigdier General Elizabeth P. Hoisington, (College of Notre Dame of Maryland). First woman general of the U.S.
Dorothy Klenke (Bryn Mawr College). First woman neurosurgeon in the U.S.